From the 1970’s through to the 1990’s installing big bulky box type skylights in WA residential properties was very popular and enabled light to be directed into multiple rooms throughout a property. The transition to much more open plan living has seen the need for these skylights to diminish. The challenge is that there are still thousands of these skylights currently installed through WA homes. The key issue is that it appears that many skylight installers must have been very poorly paid and or trained. When many installers installed the skylights they often took the shortest possible installation route, cutting corners at every stage. Too often we see that many skylights have been installed by simply cutting through key roof frame timbers such as rafters, underpurlins, struts, collar ties and ceiling bearers which were in the way of the skylight installation. The bottom line being that these timbers are all integral to the structural integrity of the roof frame. Where these timbers have been cut, shortened or removed it is likely that a structural defect will exist. 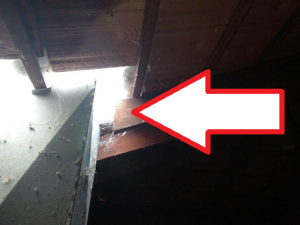 The above picture shows a roof rafter which has simply been cut and left unsupported. Another cut rafter which has simply been cut and left unsupported. Rafters and Ceiling joists which have been cut and left unsupported. 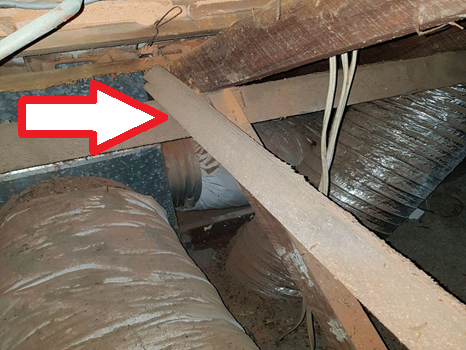 Importantly, the damage caused by these poor installations is often easily remedied by a roof carpenter under the guidance of a Registered Builder. The issue should be able to be remedied in under a day with the result being the full remediation of the structural defect. While the majority of issues that we see relate to the installation of skylights, there are some air conditioning installers (only a very limited number) who undertook the same training and approach to their work as skylight installers, particularly with the larger bulkier older style air conditioning units. The challenge however is finding and engaging a WA Builder (as required under the often used REIWA Pre Purchase Building Inspection Clause) in what can be a very tight time frame post building inspection but prior to the proposed property settlement. 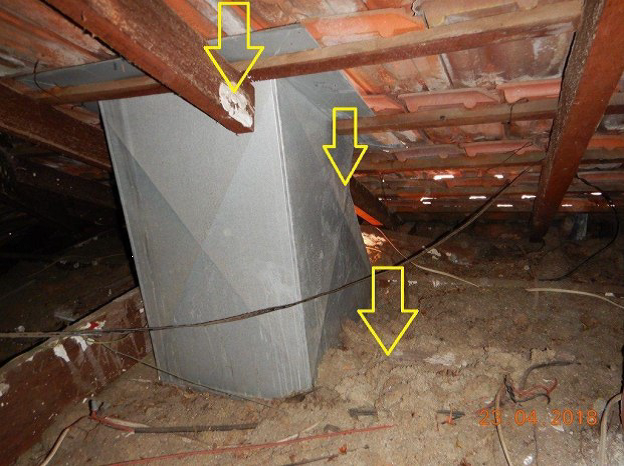 The solution for property owners who have skylights installed in their property is to have their own structural building inspection undertaken prior to going to market with the sale of their home. The Building Inspector will be able to review the skylight (and or Air Conditioning Units to ensure that key timbers have not been damaged, altered or removed during the installation. 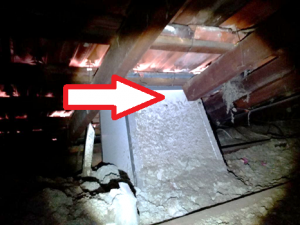 The cost of the Structural Inspection is generally very modest and can enable the property owner to progress with the sale of the property knowing that no structural defects exist. Build, Buy, Invest in property with confidence.